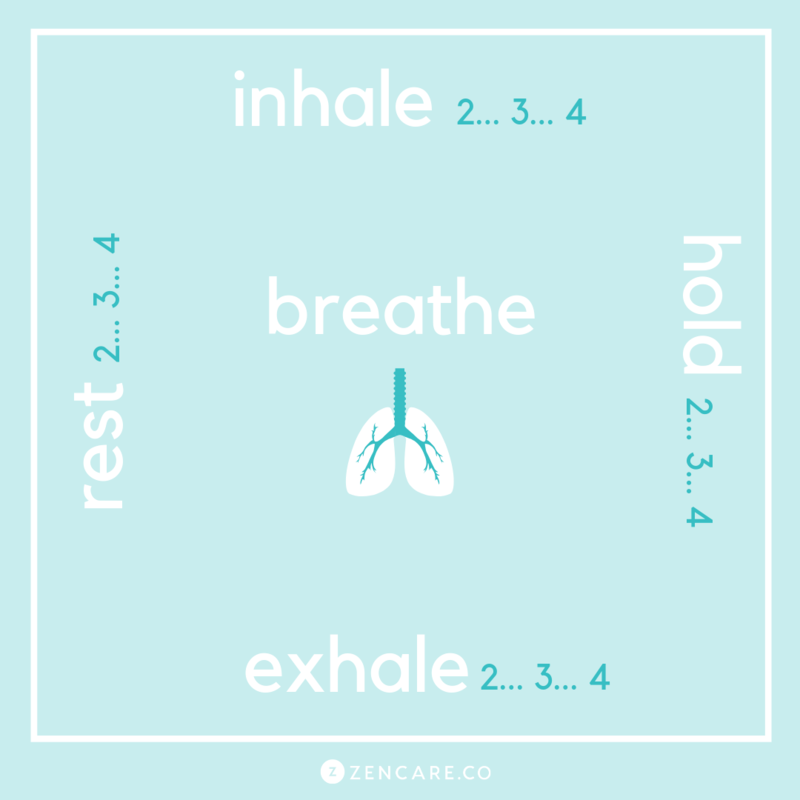 Square breathing is a type of breathwork that can shift your energy, connect you more deeply with your body, calm your nervous system, and decrease stress in your body. It is also referred to as box breathing, 4×4 breathing, and 4-part breath. If possible, it is usually a good idea to sit in a chair with your back supported and both of your feet on the floor. Really feel the support of the chair and floor under you. You might even think about the layered quality of support with the chair under you, the floor under the chair, the foundation of the building under the floor, and the earth under the building. Alternatively, you can sit in a seated meditation position or even lie down. The important thing is that your body is open to allow the breath to flow freely. Begin by slowly exhaling all of your air out. Then, gently inhale through your nose to a slow count of 4. Then gently exhale through your mouth for a count of 4. At the bottom of the breath, pause and hold for the count of 4. 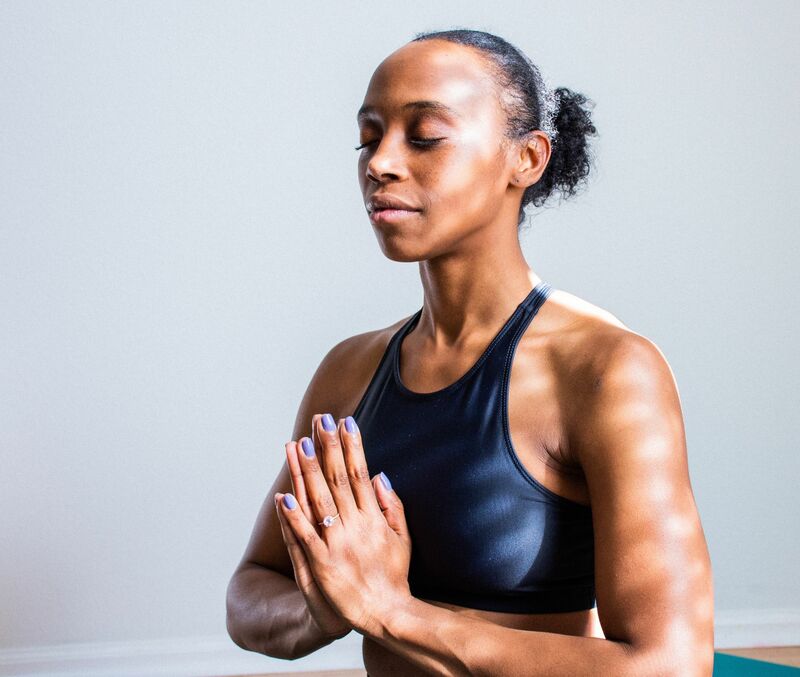 You might want to set an intention, or invite a neutral or positive image to focus on during your breathing practice. If the image of a square works for you, you can imagine your breath and the pauses/holds in between the breath moving around the image of the square. One of the great things about engaging in any breathwork practice is that you can do it anywhere. It doesn’t require a yoga mat, meditation pillow, candle or essential oils! You can practice this on the train, at work in a meeting, or during a stressful moment with a partner. However, you can also practice square breathing when you are not in a high stress situation. Set up the environment to be meditative by dimming the lights or lighting a candle. It can be useful to practice this when you are not stressed, so that it is a familiar resource you can call on during moments of higher stress. Taking just a few moments out of your day to concentrate and breathe deeply will calm your mind and body, giving you an opportunity to hit the reset button and get refreshed!